From the legendary New York designer Kenneth Jay Lane, comes this luxurious three strand pearl necklace. 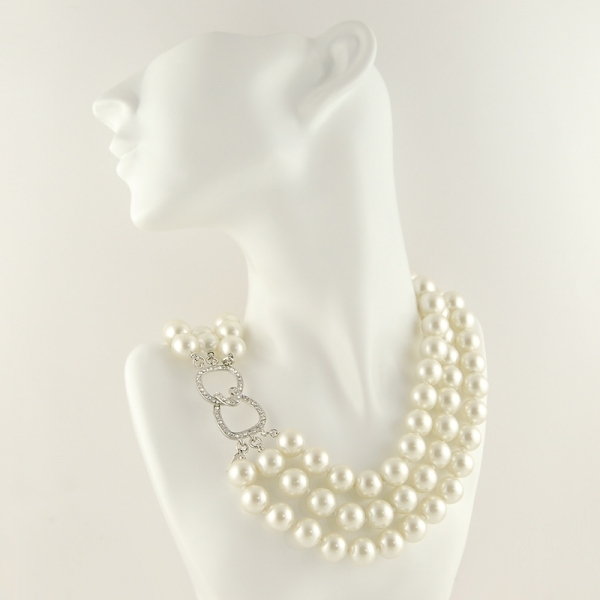 Featuring hand strung cultured pearls measuring 12mm the pearl strands fasten together with a beautiful swarovski crystal hook fastening. Approx length 42cm. 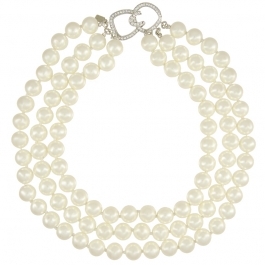 This multi strand necklace is perfect for the layered look and will add a touch of sophistication to any outfit. Each piece is hallmarked and comes beautifully packaged.